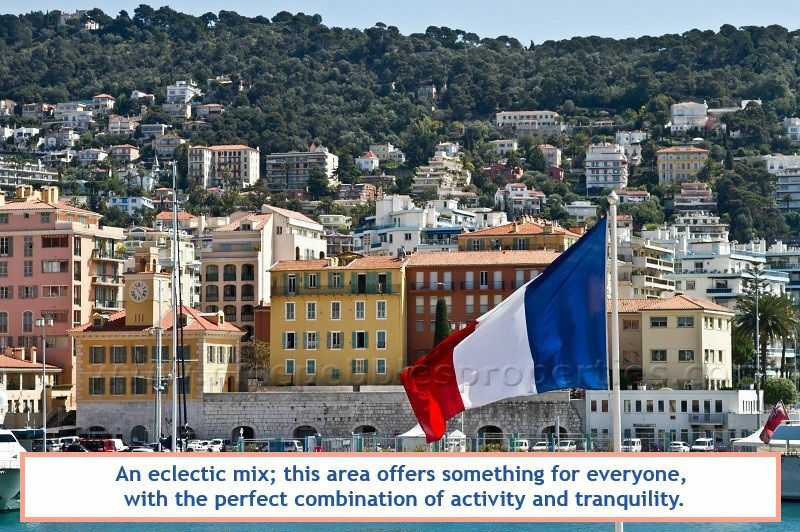 The Port has been one of the most glamorous and exciting areas of Nice for over a century. 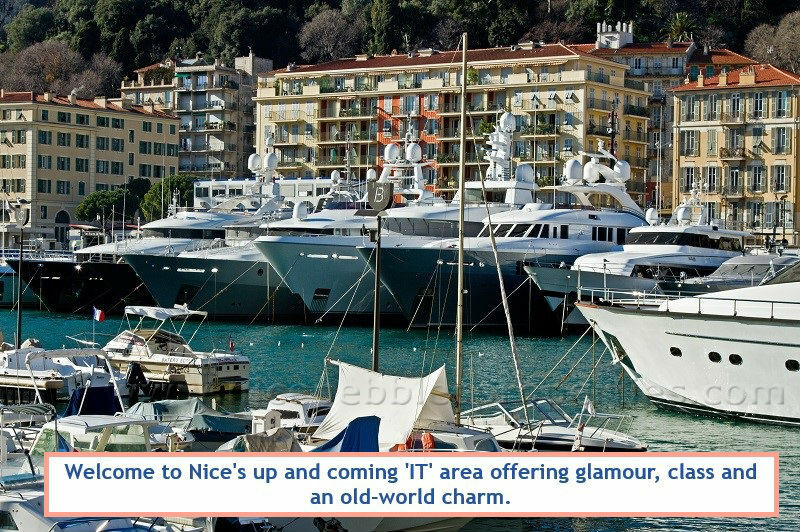 It's also an area that skilfully manages high-class tourism with age-old customs: multi-million Euro yachts share the harbour with traditional fishing boats. 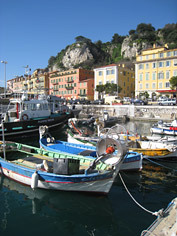 The entire Port is ringed with cafés and restaurants. 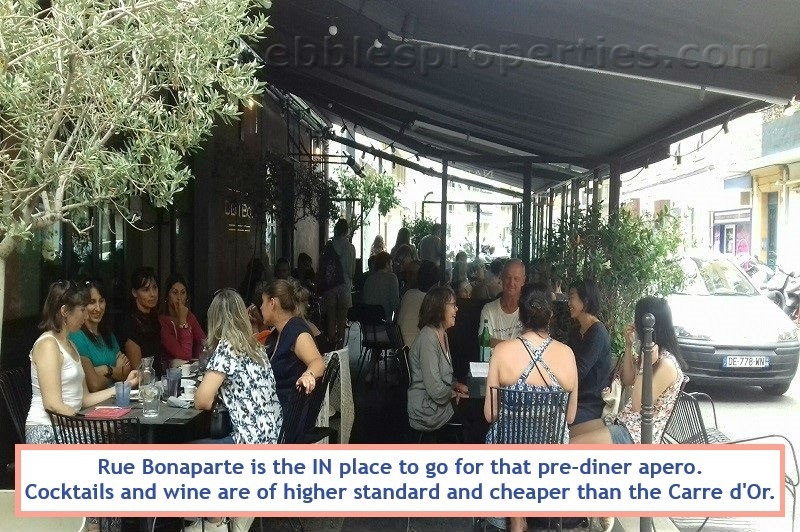 They range from Michelin-starred brasseries to humble eateries offering mussels, frites and jugs of wine to hungry visitors. 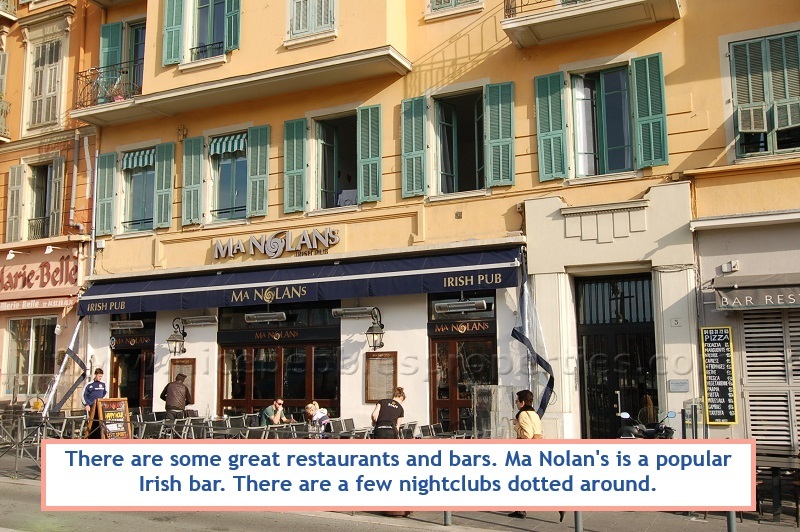 Of the areas in Nice, the Port is a real pedestrian-friendly zone, so it's great for families who want to wander along the quays, and it's ideal for taking an evening stroll (with a cheeky pastis in a pavement café en-route). 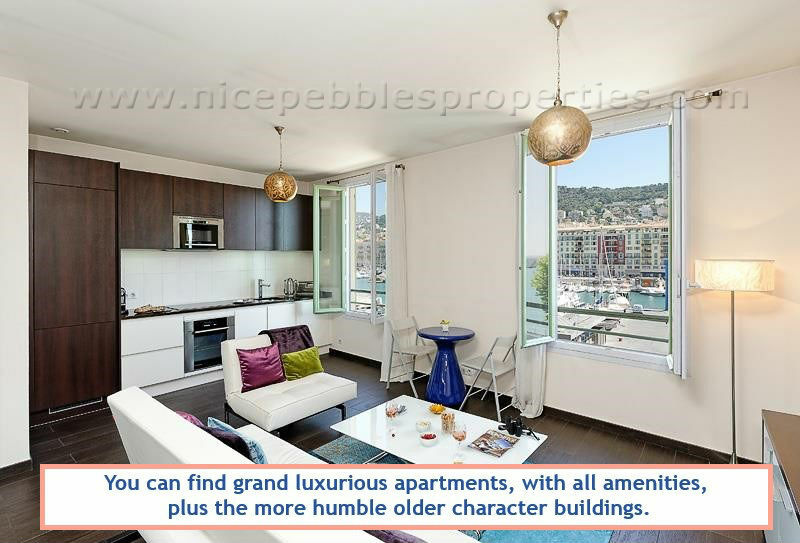 Our holiday rental apartments in Nice Port are all in prestigious buildings, mostly a block or two back from the waterfront action. 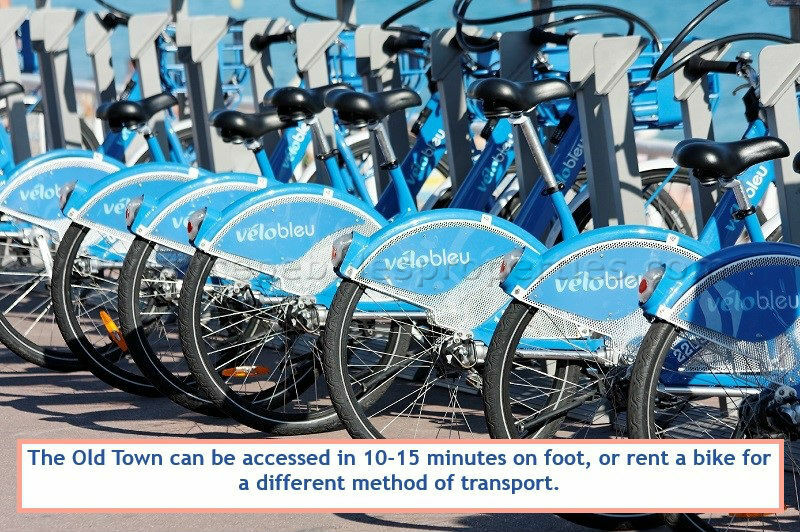 Not only is the Port the easiest place to find a parking space, it's also amazingly well connected. 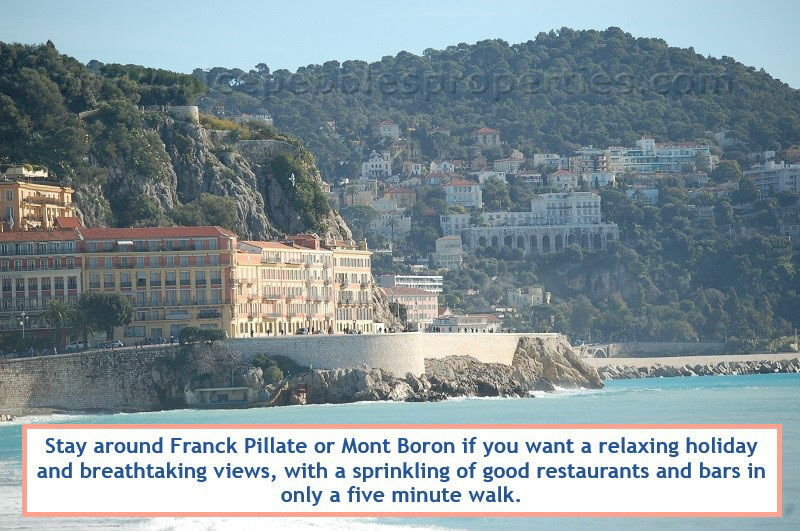 The Old Town and beach are a 10-minute stroll away. The tramway runs through nearby Place Garibaldi, a pedestrian-only piazza, which connects to Nice-Ville train station in around 10 minutes. 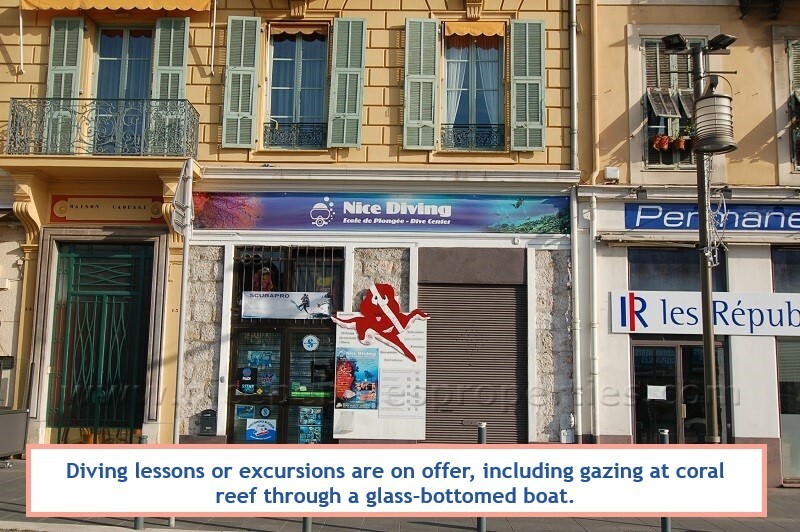 Guests renting one of our holiday apartments in Nice Port may also jump on a local train from Nice-Riquier station, one of the city's suburban stops. 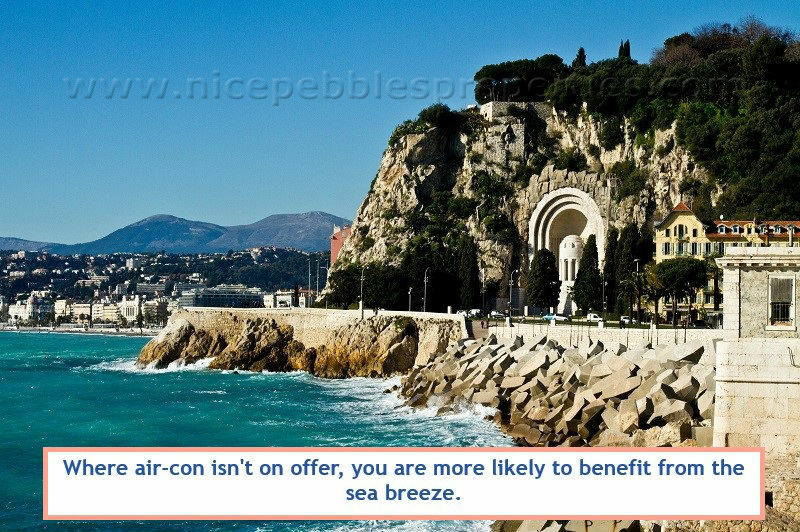 Trains link to every station on the line, from Cannes in the west to Ventimiglia over the Italian border, calling at Antibes, Juan-les-Pins, Monaco and Menton en route. 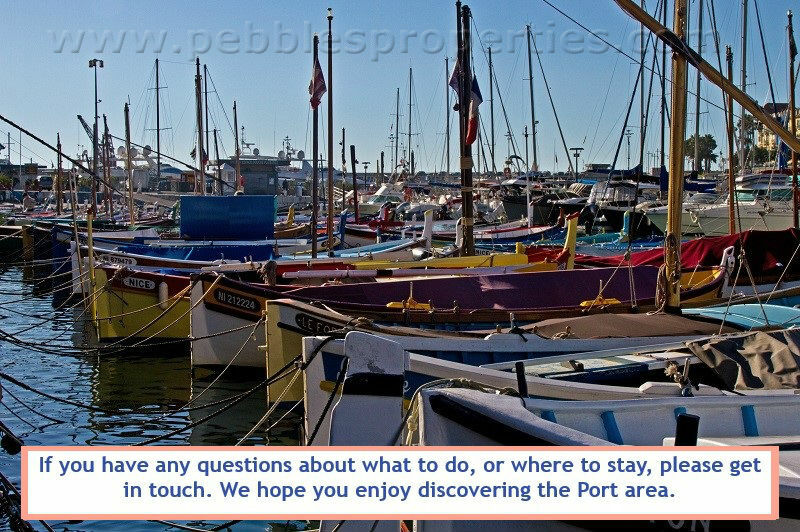 The Port can be divided into four smaller areas, each with its own bakeries, newsagents and petite cafés. 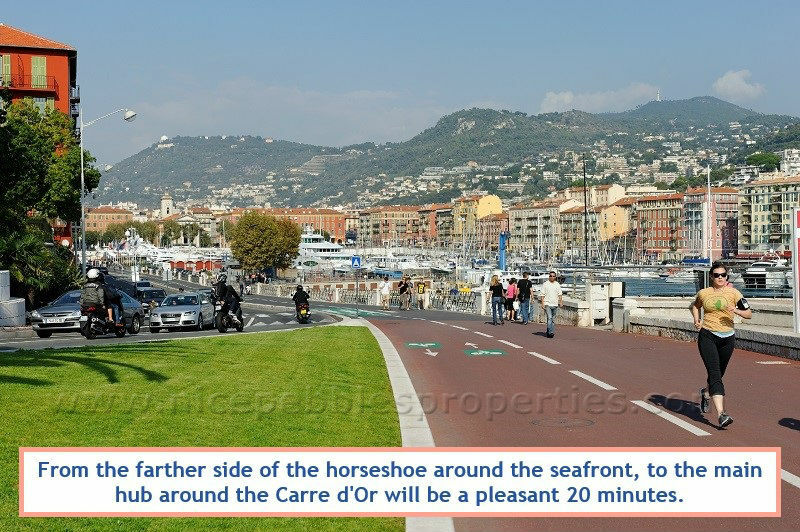 The first is the attractive waterfront area that forms a horseshoe around the bay. 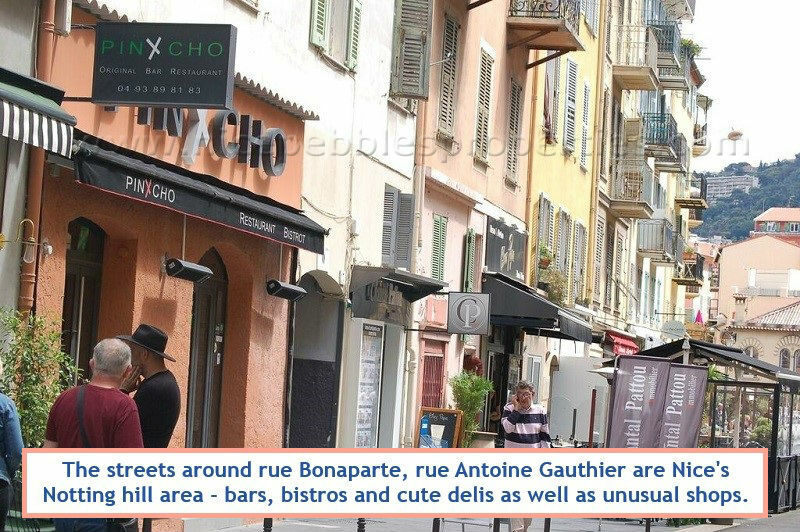 It consists of three quays (Quai Lunel, Quai Papacino, and Quai des Docks), each lined with family-friendly restaurants. In the centre of the horseshoe sits Place de Ile de Beaute, which is backed up by of a row of neo-classical buildings and the imposing Notre Dame church. The speedy no. 100 bus that calls at Villefranche, Beaulieu and Monaco stops opposite the church every 20 minutes. 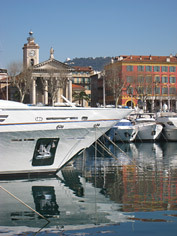 The Quartier Segurane lies behind the quays, just west of the Port. 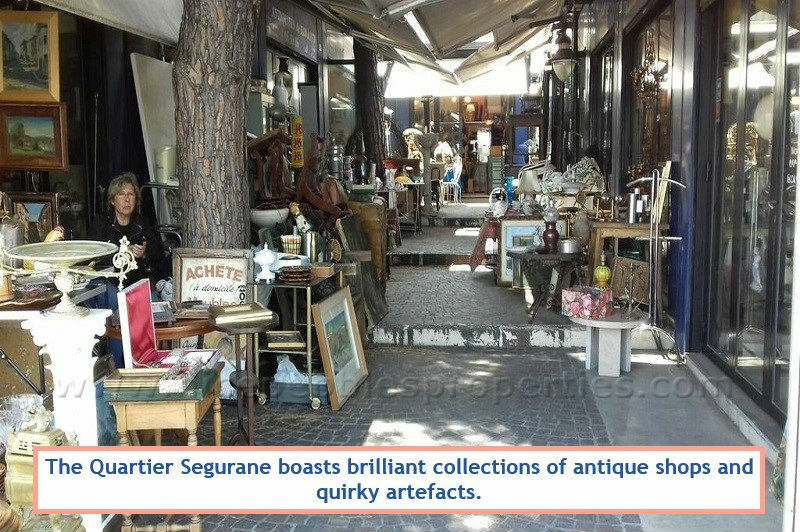 It boasts a brilliant collection of antique shops. Prices range from wallet emptying rates to flea market prices. On Rue Segurane, there's a ramp, then steps leading up to the Colline de Chateau hilltop park. 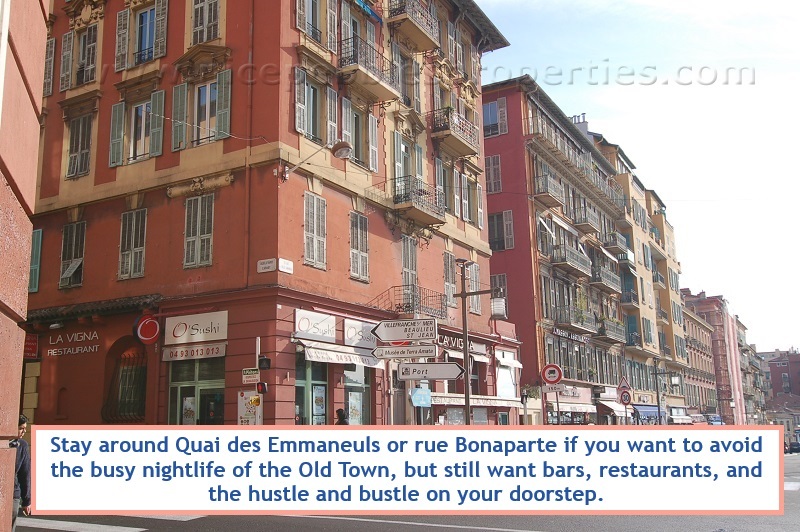 This street is also a great shortcut from the Port through to the Old Town or Place Massena. 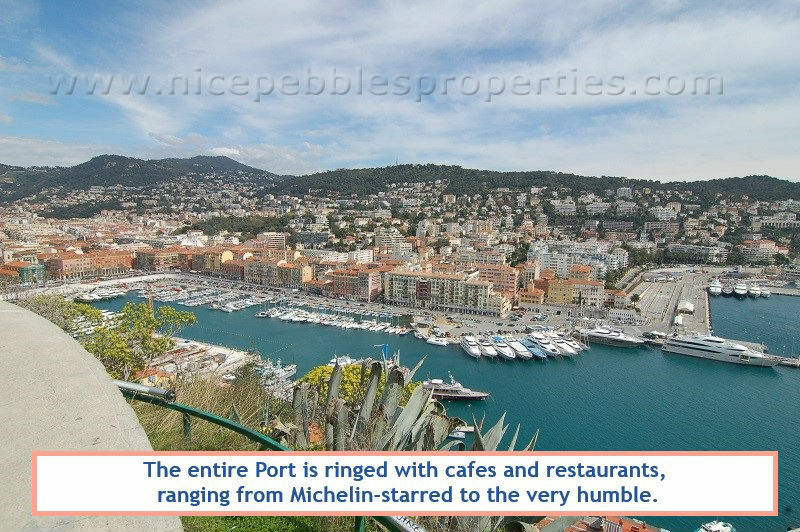 The Port's third quarter is the area just north of Place de Ile de Beaute, where you will find vibrant shops and tiny restaurants. Its streets include Rue Cassini, Rue Barla, Rue Arson, Rue Lascaris and Rue Delfino. 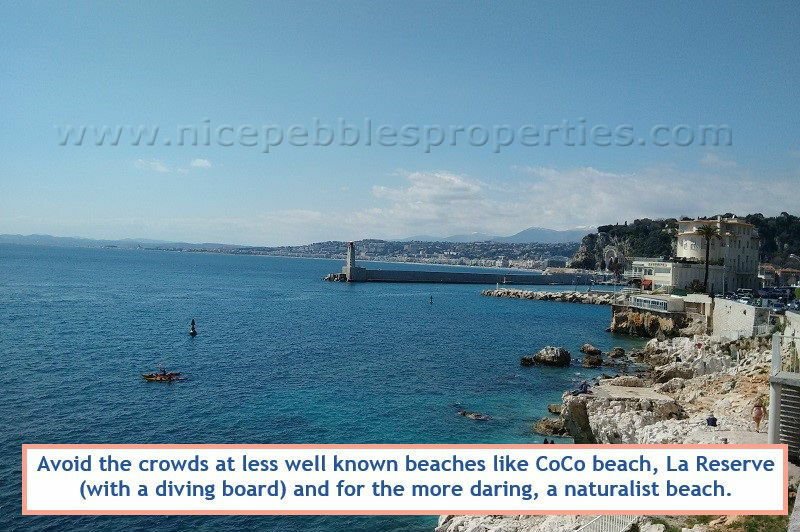 Nice's largest supermarket, Carrefour, is also in this area. 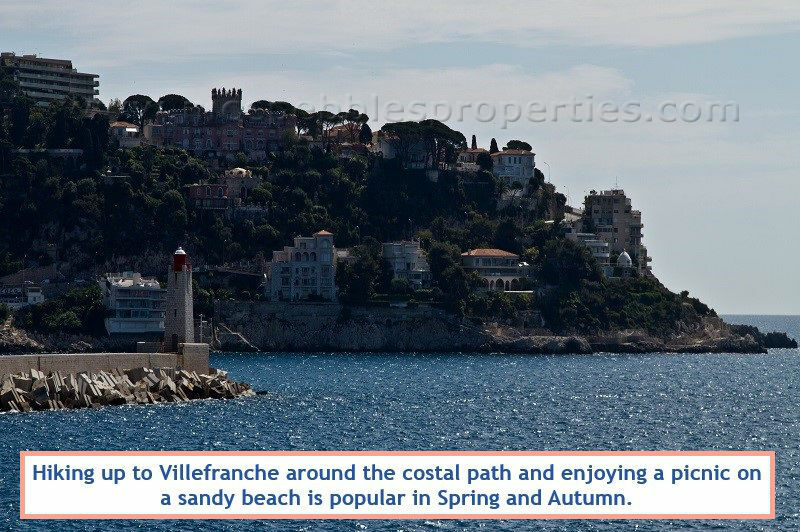 Finally, just east of the Port on the way to Mont Boron, is the most residential area of the Port, around Boulevard Franck Pilatte. Perfect for a morning or evening stroll, this route follows the seashore by way of several cafés, parks and locals-only beaches, which residents of the Port are keen to keep to themselves!